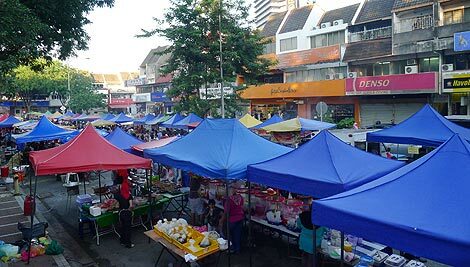 The market in Bukit Bintang is the easist market to get to for travellers as it right in the middle of Bukit Bintang, just adjecent of the Bukit Bintang Monorail station. 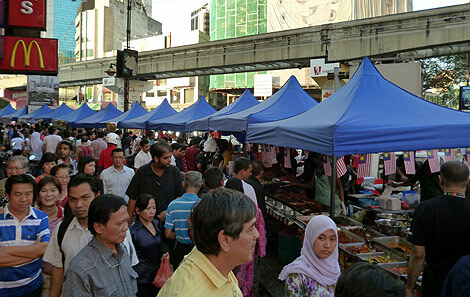 This market is one of the favourites of KLites (the people living in KL). It is located in the neighbourhood of Taman Tun Dr. Ismail (TTDI), about 15km west of the city centre. 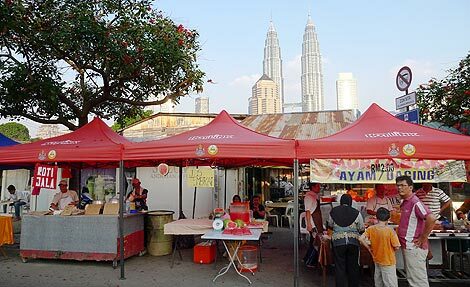 This market is located in the scenic traditional Malay residential area of Kampung Baru, the oldest Malay area in KL that is contrasting with the modern skyline of KLCC (Petronas Twin Towers) nearby. You can get this this market from Kampung Baru LRT station (Kelana Jaya Line, 3min walk) or Medan Tuanku Monorail station (10-15min walk).